We are a local midwest Champagne D' Argent Specialty Club which was Chartered in 2008. 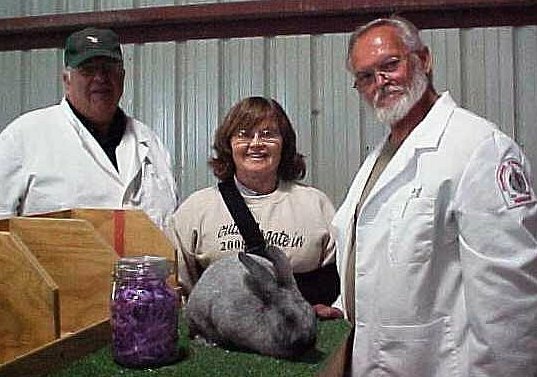 TRI State Champanges Rabbit Club hosts specialty shows each year in our area and sends out a monthly newsletter to its members. This is a new site and under construction. Champagne Nationals is fast approaching! I hope everyone is having luck breeding. I know I am not. 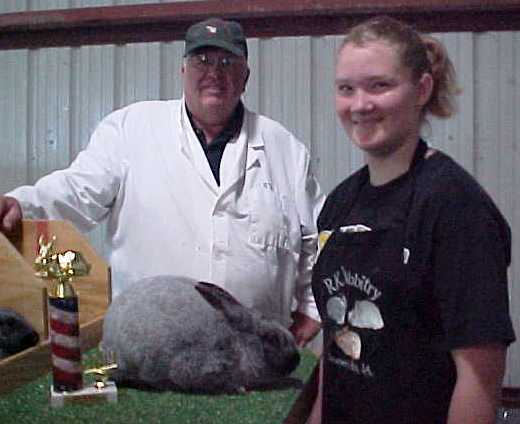 Our national show will be held May 8, 2010 in Owatonna, MN at the fairgrounds. 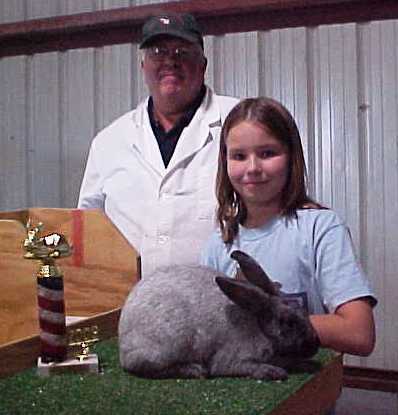 Cost of entries is $5.00 and $3.00 for fur. 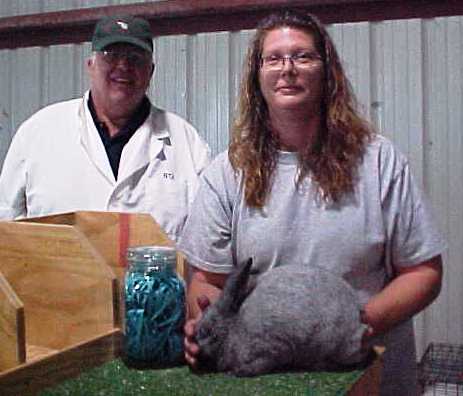 Cooping is $2.00 per cage and must be reserved when making your entries. The show will be starting at 8:00 with open and youth starting at the same time. There is also a double all breed show so you can show your champagnes 3 times that day. We have reserved15 rooms under the RARC name for Friday and Saturday night at the American Inn in Owatonna. Cost is $79.90 plus tax. The phone number is 507-455-1142. Saturday a get together is planned at the Pizza Ranch for 6:00 p.m. The TRI State Champagnes RC Club will be hosting a specility show planned for Friday night May 7th. This show will start at 7:00 p.m. That means you could show your Champagnes 4 times in one weekend!! Awards will be presented for Open & Youth. Any questions you have can be directed to me. See you there! Originally Champagnes were raised in France and called “French Silvers”. 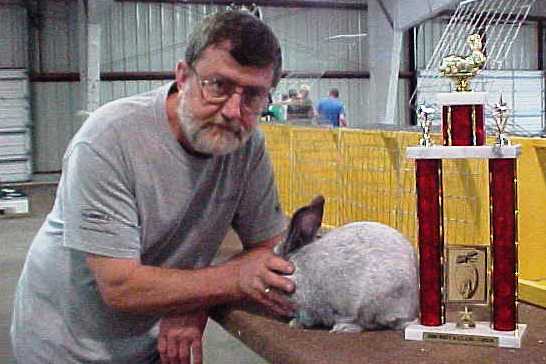 In 1920 they were introduced to England and became one of the more popular breeds of rabbits that were shown at the time. Around 1923 to 1925 they came to the U.S. They had long, silky loose lying fur and were very dark in color almost resembling the Silver Fox. At that time all breeds were lumped into one club, but this did not prove to be successful. The first Champagne club was chartered by A.R.B.A. on October 21, 1931. Later Lewis J. Griffin was credited with the improving of the color of <?<st1:State w:st="on">Champagnes with the close lying fur that they have today.